it is prayer that wins workers for the Lord's vineyard. prayer makes the preaching of the Gospel fruitful." 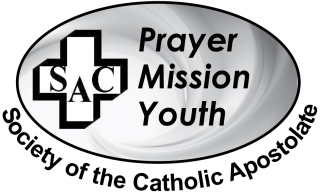 PRAYER, MISSION and YOUTH are special areas of focus for us. PRAYER is certainly what sustains us in our daily life. St. Vincent Pallotti was a man who prayed daily, not only in words but through actions. As followers of Christ and St. Vincent Pallotti we gather in daily community prayer to pray for the many needs of the world and for all those who walk with us on the journey of life. Please feel free to complete the form below with your special intentions so that we can pray with you and for you and your intentions. Prayer Requests: Please share your prayer requests with us. The United States Conference of Catholic Bishops provides a site for you to access the daily readings. but please don't forget to hit the "back arrow" and return to us!